Fancy winning yourself a free lip balm? If so, then continue reading. 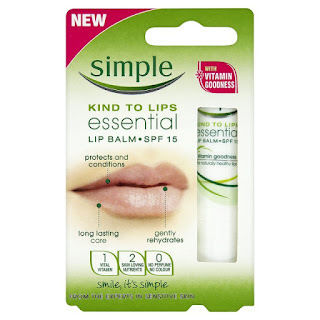 Simple is giving away a free sample of their Kind To Lips Essential Lip Balm which has a SPF of 15 (much needed in the current climate) and usually retails for £2.55-2.99. To be in with a chance of winning yourself a free lip balm, then fill in this form. But be quick though, as this competition is only valid whilst stocks last.